ASTANA, Kazakhstan, October 27, 2014 (ENS) – The Kazakhstan government would like to explore collaborating with Japan to manufacture hybrid and electric vehicles, Prime Minister Karim Massimov said this week. Massimov proposed the cooperative venture at the fifth meeting of the Kazakh-Japanese Intergovernmental Commission on Economic Cooperation, reports Kazak TV, the national satellite channel in this Central Asian country of 18 million people, the world’s largest landlocked country. Some 200 delegates attended the commission meeting, including delegates from 40 Japanese companies, including automakers Mitsubishi and Toyota. The discussion ranged across cooperation in such fields as automotive, transport, innovation, tourism, medicine, information, telecommunications and metallurgy. The two countries also have the potential for cooperation in the space industry and agriculture, said Massimov. Asset Issekeshev, Kazakhstan’s minister of industry and trade, said his government views Japan as a priority investor country. To foster this relationship, Kazakhstan has launched “a visa-free regime for 10 countries including Japan,” said the minister. Electrified vehicle production is viewed by the government as part of Kazakhstan’s Green Economy program. Kazakhstan’s move toward electric and hybrid vehicles is part of the country’s preparation to host the world at Expo 2017 in Astana from June 10 through September 10, 2017. With the theme “Future Energy,” Kazakhstan expects that more than 100 countries and six international organizations will build pavilions at the 25 hectare site. Over five million visitors from all over the world are expected to visit Expo 2017 Astana. On Friday, the First International Forum “Future Energy: reducing CO2 emissions” laid the foundation for the preparation of strategic content for Expo 2017. The event was a platform for the development of research projects on the subject of the exhibition “Future Energy” and its sub-topics: reducing greenhouse gas emissions, the introduction of energy-efficient technologies and the provision of universal access to sustainable energy. Electric cars were first exhibited in Kazakhstan in October 2013 at the First Kazakhstan International Automobile Show “Astana International Auto Salon 2013. 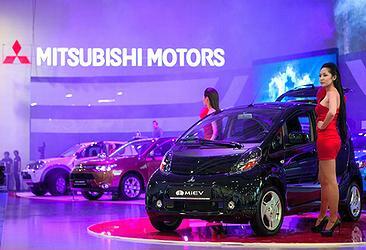 The centerpiece of the show was the Mitsubishi Innovative Electric Vehicle, the i-MiEV, “The Astana Times” reported. First Deputy Minister of Industry and New Technologies of Kazakhstan Albert Rau also attended the 2013 exhibition, the newspaper reported. He said the government was considering the exemption of electric cars from customs duties. Currently, Kazakhstan has electric vehicle charging stations at three hotels: the Hotel Kazzol in the capital Astana, the Hotel Kazzol in the largest city, Almaty, and the Hotel cosmonaut in Karaganda.